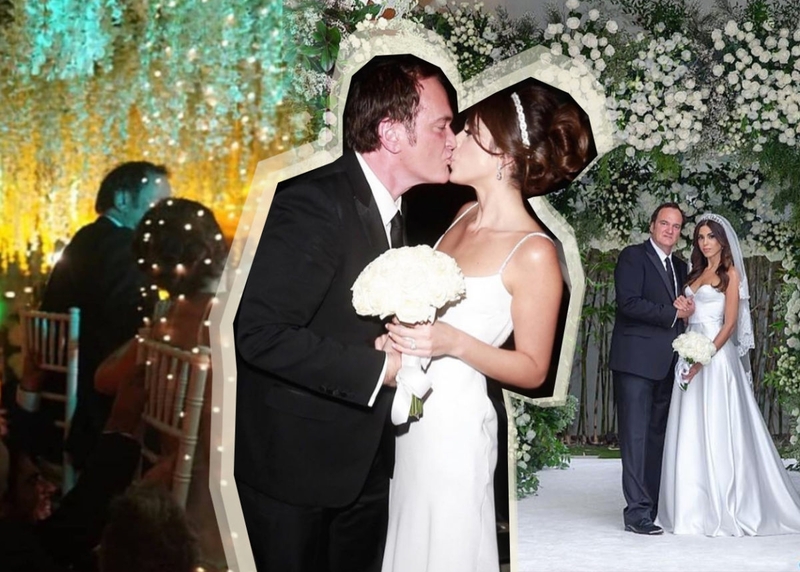 Quentin Tarantino just got married to Israeli singer and model Daniella Pick — and the ceremony was so, so Jewish. Pick and Tarantino met way back in 2009, when Tarantino was promoting Inglorious Basterds in Jerusalem. The two were introduced by Israeli filmmaking legend Yoram Globus, and hit it off right away, though their relationship after a mere three months. In 2016, the pair got back together, and in 2017, they got engaged. Though not a household name in the U.S., in Israel, Pick is pop royalty. Her father, Svika Pick, a pop-icon has written some of the country’s most important pop hits, like “Mary Lou” and “Diva,” which was sung by Dana International and won the Eurovision song contest in 1998. As it happens, Pick and her sister, Sharona, were once in a pop duo together; they were even contenders to represent Israel at Eurovision in 2005. In a 2017 interview, she told Xnet that, aside from singing and modeling, she loves cooking meals, especially chraime, a spicy Jewish fish dish. She and Tarantino often throw a Shabbat meal for friends and for which she procures challah from a local Jewish bakery (um, can we get an invite?!). As for Pick’s famous father, he couldn’t attend the wedding due to medical reasons (her mother and sister represented the family at the festivities), but he did kvell on Instagram, posting a picture of the married couple.